Whether you’re a backyard chickens beginner or a seasoned eggs-pert, chances are you have wondered “Which chicken feeder is best for my backyard chickens?” Aside from choosing an egg-cellent coop and which chook breeds will call your garden home, making sure your hens are easily and well fed is a top priority for any chicken keeper. Even if your backyard chooks free-range daily they will still need access to quality chicken feed to maintain a balanced diet and provide you with lovely fresh eggs! 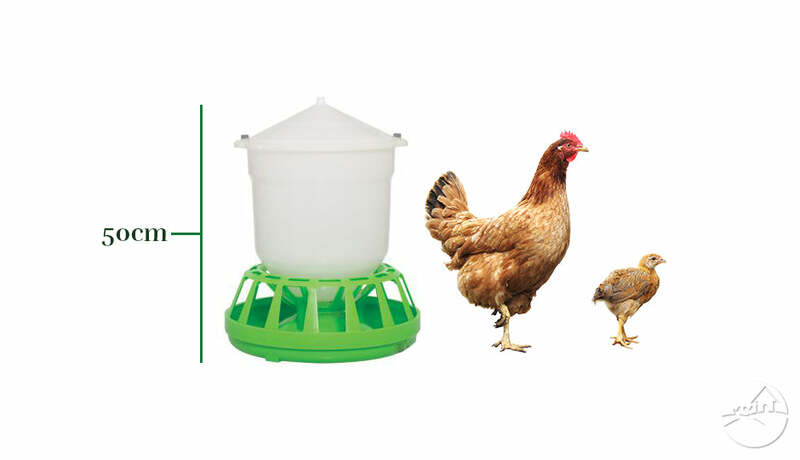 Keeping your hens happy and healthy is made easier with the right chicken feeder. But there are so MANY different chicken feeders available. Gravity-fed. Automatic. Treadle. Trough. Oh my hen! It’s enough to scramble your brains! Even eggs-perts can get muddled by the sheer number of chicken feeder styles and sizes they find. But don’t worry, chooks! We’re here to sort the wheat from the chaff when it comes to the best for your backyard hens. 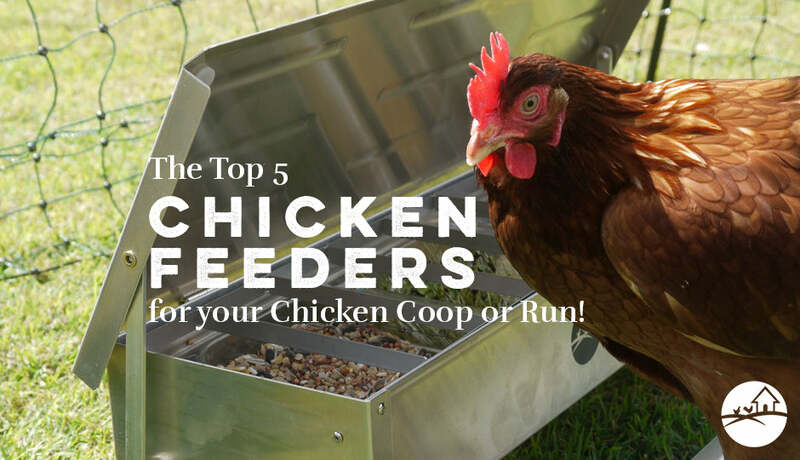 Let’s have a peck at the top 5 (or so) chicken feeders for your chicken coop or chicken run! The best. The bees knees. The one to rule them all. The Free Range Treadle Chicken Feeder is our #1. This sturdy chicken feeder is THE feeding solution for every hen and hen keeper in the know. 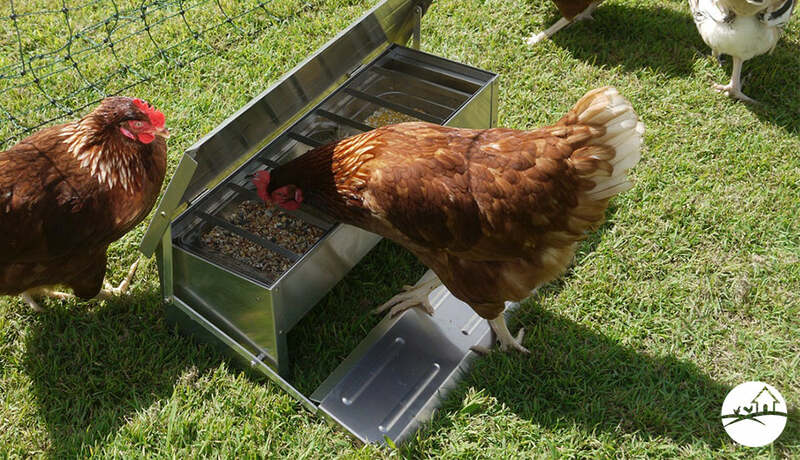 It comes with a feed flick preventing grill insert and 3 inner tubs to give your chooks a choice in feed, treats, grit or water. This easy to use automatic chicken feeder is suitable for all backyard chicken flocks and its step-on mechanism helps prevent vermin, wild birds and rain from ruining your flock’s feast. After all, your chicken feed belongs to your chooks, not the neighbourhood nasties. Made from aluminium - no rusting! Hop on up to #2! 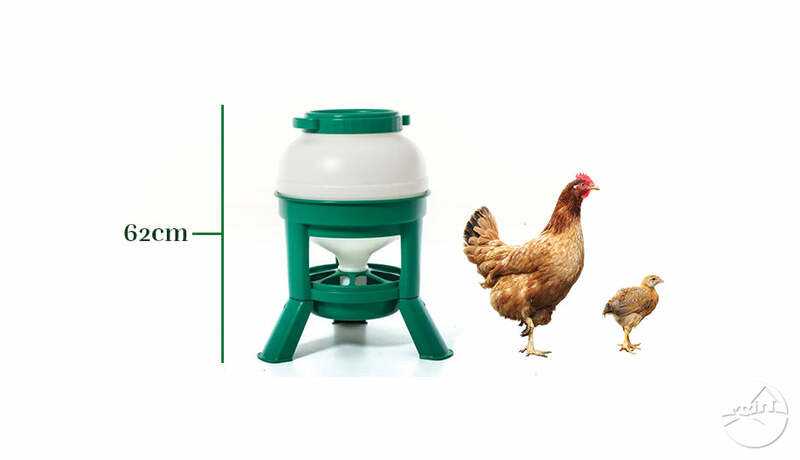 The Hopper Chicken Feeder is a generous, standing use chicken feeder perfect for medium to large size flocks. This durable unit is made from easy to clean plastic and has an adjustable feed flow. Let’s go large with #3! Tankstand Chicken Feeders are the perfect feeding solution for large flocks or for those who don’t have time re-fill their chicken feeder daily. This durable chicken feeder style stands up off the ground, helping to prevent vermin and feed wastage from spills. 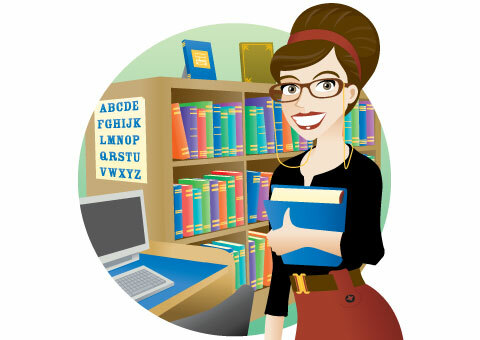 No need to flip your lid, here’s #4! 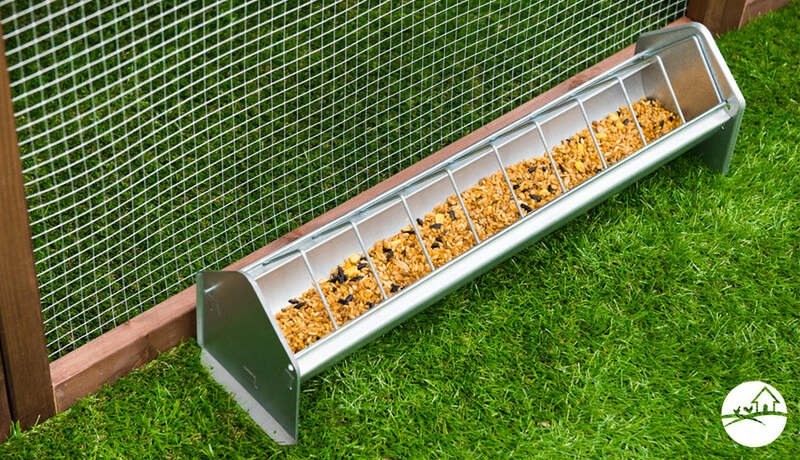 Flip-top Trough Chicken Feeders are a handy little feeder solution perfect for smaller coops and chicken runs. These steel or plastic feeders are easy to fill and the cage design lids help prevent chicken feed squabbles and the age-old hen practice of feed flicking. 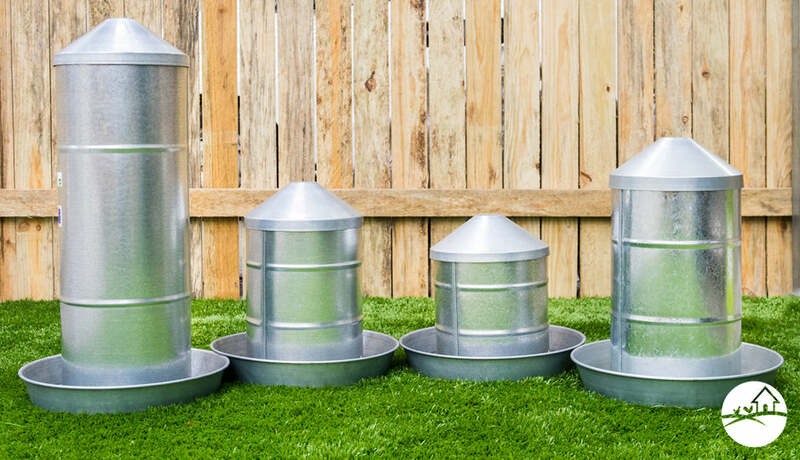 Coming in at #5, durable and well-made Galvanised Gravity Fed Chicken Feeders are ideal for standing use in your chicken run or chook yard. They are available in a large variety of sizes to suit most flocks and their classic look makes for a lovely addition to your backyard chicken coop style. Last but certainly not least, number 6 in our Top 5 (chook math), our exclusive tubular drinker and feeder is the ultimate in convenience for the busy chicken keeper. Made to attach to any coop from the outside, the clear plastic means you’ll always know when they need to be topped up, and the unique design allows you to do this without having to go into the coop! Handle cover doubles as a feed scoop! While every chicken feeder listed here is fantastic in their own way, you really can't beat the Free Range Treadle Chicken Feeder for price, feed saving capabilities, money saving prowess and ease of use! Pop on over and have a peck at this champion chicken keeper essential here! Hungry for more chicken keeping advice? Have a peck at our guide to all the different types of chicken feed here and treat your girls right with our guide to 6 essential accessories for your chicken coop and chicken run right here. Which Chicken Feeders are Best For My Chooks? And why do you even need a chicken feeder?